Enjoy outdoor activities such as bicycling, barbeques and walks on the beach. Our three cottages are perfect for a romantic getaway or a family vacation. Spend a day on the sea whale watching or deep sea fishing. Board games, HDTVs and DVDs available for that rainy day. If you're searching for the perfect rental house on the Massachusetts northern coast, look no further than Rockport Cottages. When it comes to the ideal pet friendly rental North Shore MA, this quaint collection of homes outshines all others. Rockport is an inviting town saturated with scenery, so it's an idyllic destination for spending precious vacation time. Rockport Cottages are pet friendly and equipped with various amenities. Each home has everything you need for an enjoyable retreat, including a fireplace, cable television, Wi-Fi access and an outdoor grill. There are also plenty of board games, bicycles and lounge chairs, so you will never be bored. Whether you stay at the Sound House, the Cottage on the Lane or the Cottage on the Pond, you will find Rockport Cottages to be as comfortable as home. You can bring your beloved pet along for a true family getaway. Spend a chilly fall night cuddling with your furry friend by the fire, or gaze at the ocean together on lazy summer afternoons. Renting one of the pet friendly Rockport Cottages allows you to experience the old-fashioned beauty of Rockport while having access to modern facilities. The spacious, updated homes offer plenty of room for families of all sizes. 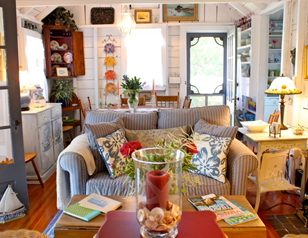 Even your cherished pets will enjoy the welcoming atmosphere of these delightful cottages. No matter what types of activities you’re interested in, the cottages are strategically positioned. You can spend the day exploring the many museums and art galleries or take a sailboat tour and bask in the coastal beauty. If you are a more adventurous soul, you can go on whale watching or deep sea fishing expedition. Finding the perfect pet friendly rental North Shore MA is as easy as lounging on the beach. Book one of the Rockport Cottages, and take a break from your hectic life. Once you view the spectacular scenery and inhale the glorious scent of the ocean, you will feel as if you have stepped into another world.